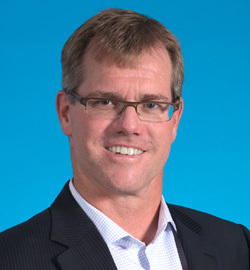 Geoff Powell’s expertise is managing associations as well as major conferences, and is demonstrated by his record of success with some of Canada’s leading associations and signature events. For over a decade, Geoff has successfully worked with The College of Pedorthics of Canada, a national self-regulatory body, as the Executive Director and Registrar. He guides the volunteer leadership on initiatives that make the College stronger and more accountable to the public. Geoff acts as the Executive Director of the Recreation Vehicle Dealers Association of Manitoba and helps them with key issues that affect their industry with government and non-governmental organizations. He oversees the board meetings, delivery of education, special events, and liaises with the Recreation Vehicle Dealers Association of Canada on national issues affecting the industry. Geoff acts as the Executive Director of the Winnipeg Executives Association and is responsible for overseeing all aspects of the organization, including weekly meetings, monthly board meetings, committee meetings, special events, and financials. Geoff works with the Entomological Society of Canada as Executive Director, overseeing the operations of membership and sponsor recruitment and works closely with the board to achieve the goals of the society. The Mid-Canada Marine & Powersports Dealers Association (MMPDA) supports its members to build a vibrant, thriving marine & powersports industry. Geoff is the Association Manager working with the board on membership, education and interfacing with government and non-governmental organizations to help MMPDA achieve its mission. He regularly attends Canadian Society of Association Executives (CSAE) professional development sessions to network with likeminded professionals and learn about the latest trends in association management. Geoff is a graduate of the Asper School of Business at the University of Manitoba. As the Executive Director of multiple associations we at Strauss are in a unique and privileged position to drive many examples of association excellence. By sharing that industry knowledge with the volunteer boards of our clients, I can guide them in delivering exceptional leadership and value to their members. Valuegraphics: How can it Help Your Association?